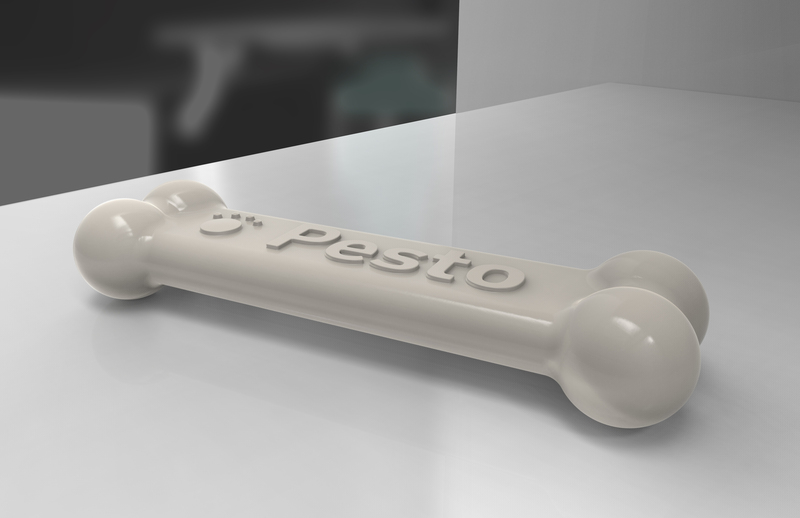 Before they began designing, the teams started with research. “Our first step was to extensively review macro trends and the latest advancements in technology,” said Lenzi. From advanced materials to energy efficiency, the team took a broad view on the biggest macro trends impacting our society. 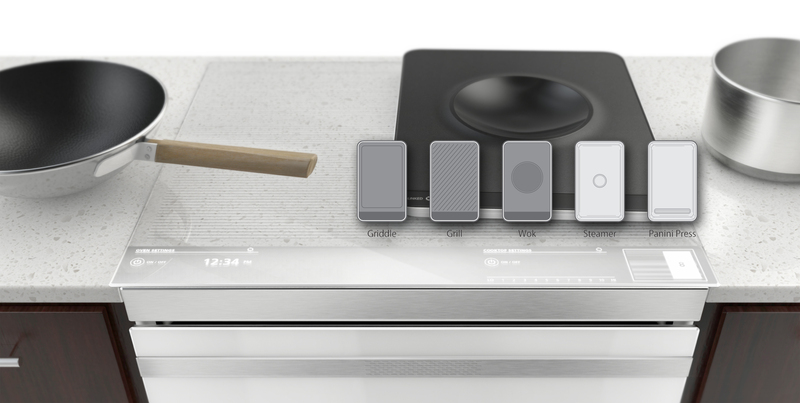 The death of one-purpose appliances: Much like the smartphone has become a TV, a navigation system and a phone, so will appliances integrate disparate functions into uber-appliances. This becomes more important as sizes of homes and apartments continue to shrink. The supermarket goes the way of the video store … and the milkman returns: Smart appliances perform inventory management and automatically place online orders for food. As consumers desire more fresh food delivered to their home, refrigeration units can be installed with access outside of your home, so you need not be present for delivery. 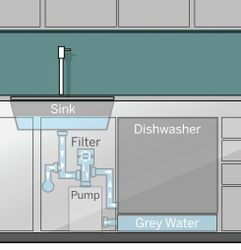 Water scarcity means innovations in washing: Gray water will be recycled and repurposed through our appliances. Honey, I ate the houseplant: As the desire for fresh food grows, indoor plants become a food source as synthetic beehives provide pollination. 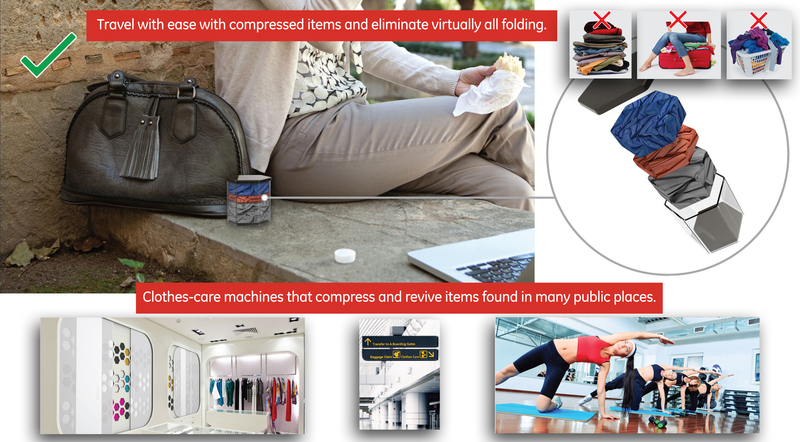 The clothing store becomes one machine: In GE’s Home 2025, a laundry machine not only washes and dries, it stores clothing items in convenient pellet form, and then revives clothes for immediate wear or dispenses them in compressed form for travel. 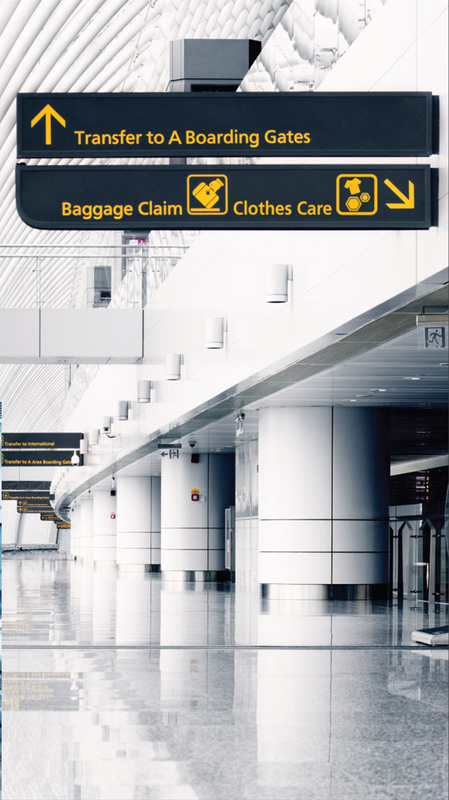 Commercial compressors and revivers are found in public areas. Aging in place: As older consumers rely on fewer people to take care of them, appliances that take biometric information and dispense medication can mean independence for many years to come. Check out GE's Home 2025 on Pinterest. 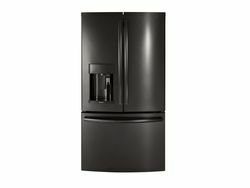 Friend GE Appliances on Facebook to view how-to videos; learn about new GE appliances, and join in the discussion with other GE appliance owners. 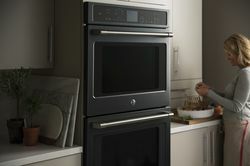 Join today and follow @GE_Appliances on Twitter or just locate detailed information about our products at www.geappliances.com. In 1960, Arthur BecVar, GE's manager of industrial design for major appliances, and his team of designers imagined a kitchen of the future. Today, many of his ideas, such as an induction cooking surface and refrigerator ice dispenser, have become a reality in many kitchens. In GE’s Home 2025, this innovative laundry machine not only washes and dries, it stores clothing items in convenient pellet form, and then revives clothes for immediate wear or dispenses them in compressed form for travel. Commercial, public compressors and revivers are found in many common areas around the city. Clothing manufacturers save money in GE’s Home 2025. Clothing manufacturers ship compressed items to retail stores, where consumers try on sample sizes and purchase brand new packaged, compressed items. 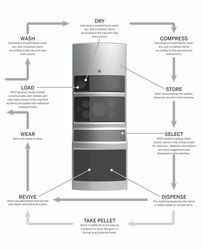 After washing and drying your clothing, the laundry machine in GE’s Home 2025 compresses items into pellets and stores them in the machine. 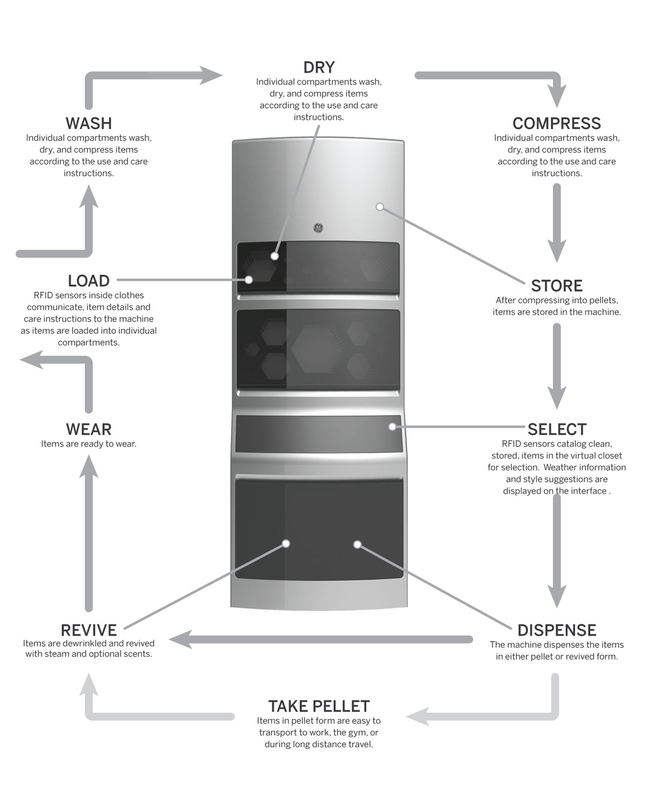 When ready to select your outfit, the machine dispenses the items in either pellet form for on-the-go or in revived form to wear now. 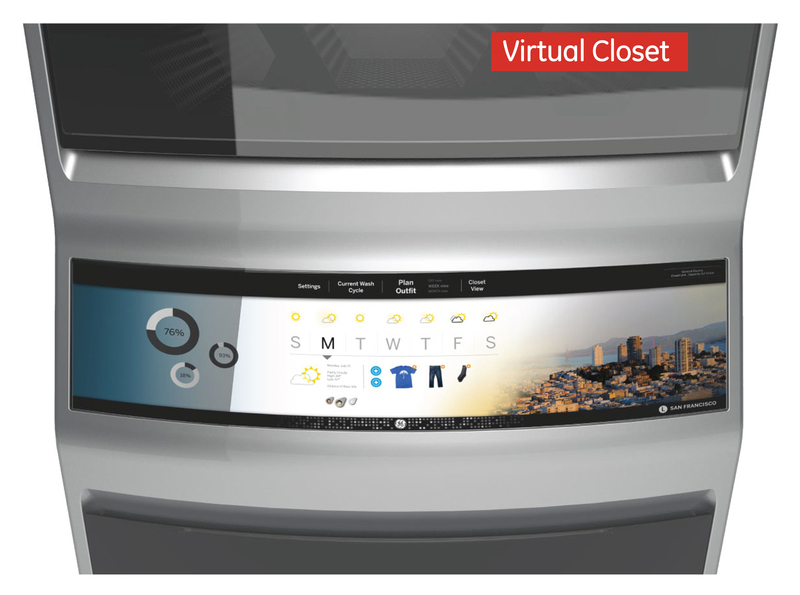 The laundry machine in GE’s Home 2025 displays a virtual closet for you to choose items from, even suggesting matching outfits or clothing based on weather. You can even plan your entire wardrobe for the week. 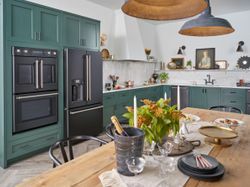 Packed in a 27-inch-wide design, the oven in GE’s Home 2025 exhibit combines the efficiency of an induction cooktop, Advantium® Speedcook oven, sensor cooking, and a traditional thermal oven into a single unit. 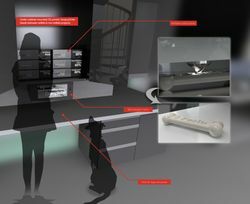 The interchangeable and integrated induction accessories allow for unlimited and exciting culinary exploration, as well as more cabinet space when stored in the integrated storage drawer below. No longer confined to predetermined burner locations, pots and pans can be placed anywhere you see fit. Cooking is now more collaborative and connected when using your smart phone to monitor the status from the comfort of your sofa. 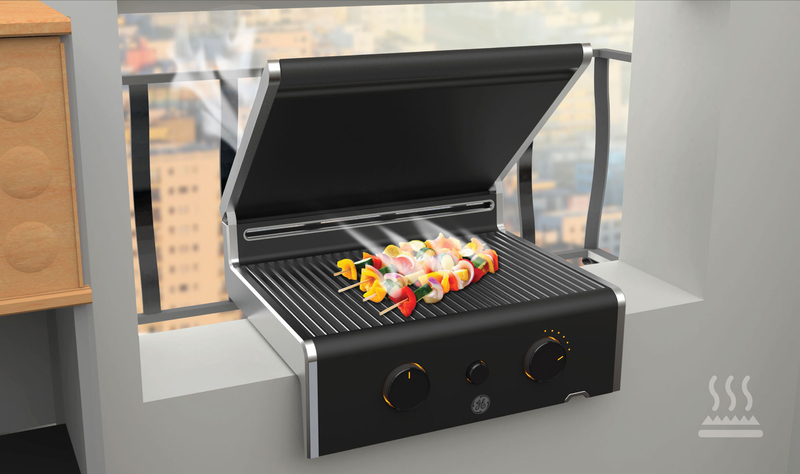 Urban dwellers can achieve grilling greatness with a compact, modular grill – a new design that’s a part of GE’s home of the future project called Home 2025. Convenient window mounted unit uses powerful, yet compact mechanisms to draw smoke out of the living space, allowing for grilling convenience. Imagine virtual experts who can help you learn to cook from the convenience of your own home or prepare great meals with friends around the country virtually. 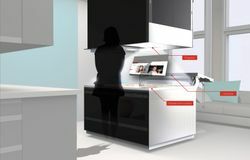 In GE’s home of the future, improvements to voice recognition, motion plus facial recognition and deep-thinking technology will create “human” simulations of experts in fields like cooking. Sensors in kitchen appliances, as well as virtual cooking tutors will give instructions tailored to your skill level and interests, so meals come out perfect every time. Friends and family can even share a celebrity chef experience with a replica of a famous maestro giving instructions to make it more of a party than lesson. 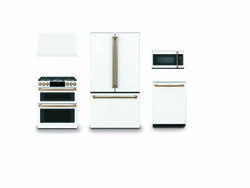 In GE’s Home 2025, space is a premium and appliances perform multiple functions. In Home 2025, GE’s designers combine a sink, dishwasher, cooling device and food disposal. 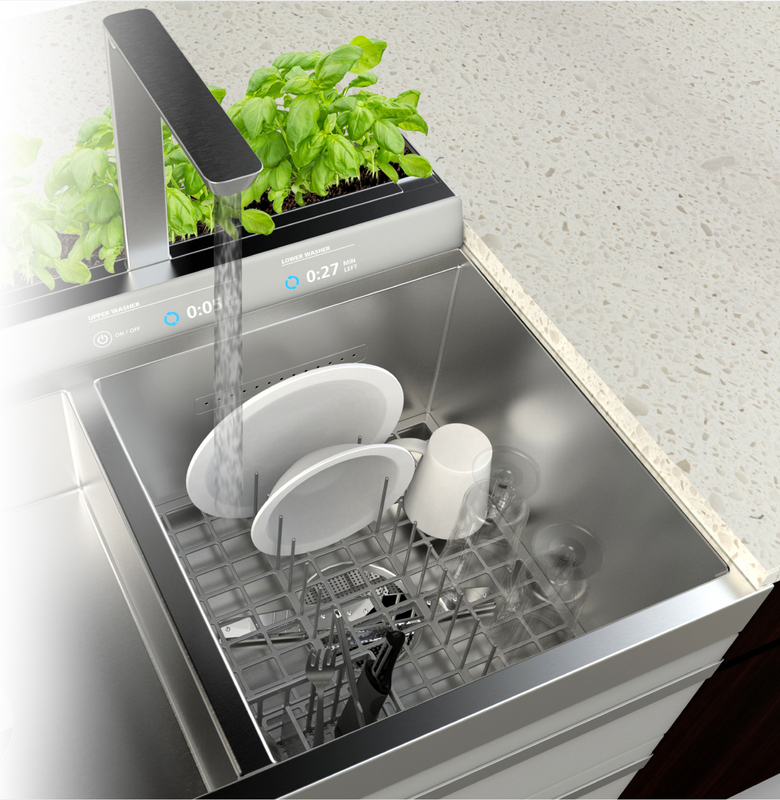 With the in-sink dishwasher, wash small loads in just 5 minutes. The lower dishwasher drawer accommodates large loads like pots and pans. 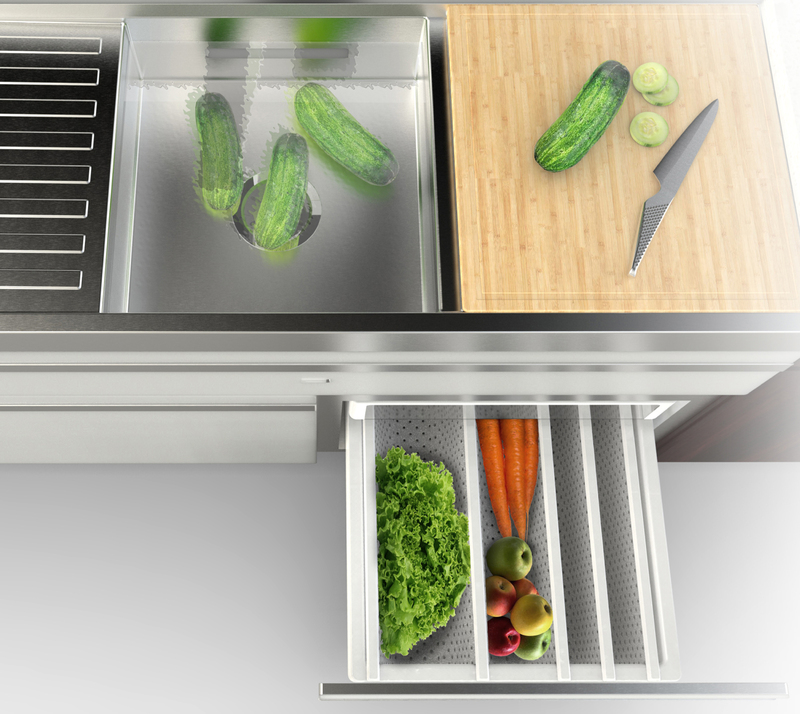 A cutting board doubles as the dishwasher lid, and sliding mesh dividers in the prep area keep produce cooled and easily accessible. Integrated sensors in the sink alert you when chemicals or bacteria are present in your produce, so you can keep washing your produce until the readout says the contaminants are gone. 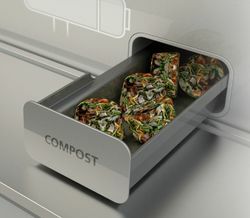 Turn your food disposal into compost mode and create compost pellets. 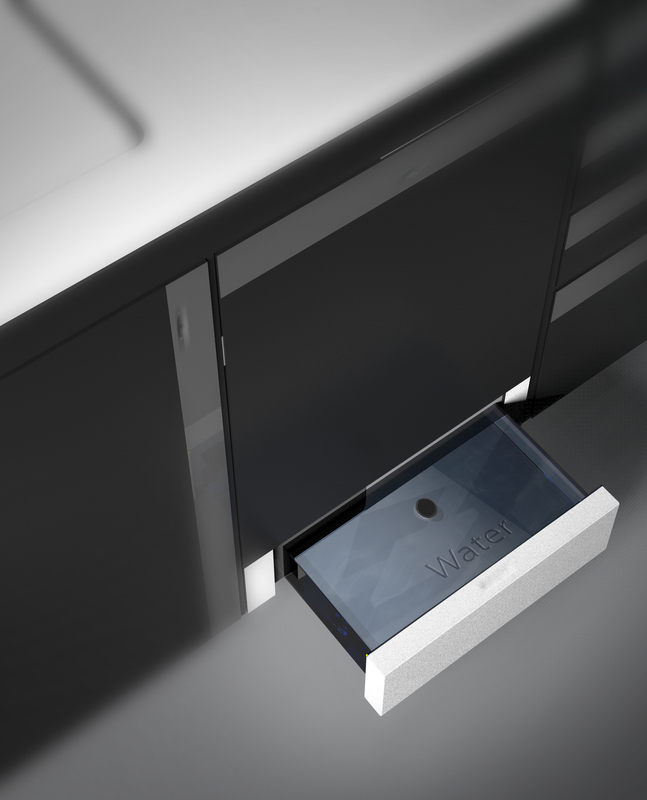 The smart faucet not only dispenses filtered water, but also ice and carbonated water, vitamins and various beverages. Just place your finger on the faucet and the built-in hydration sensor lets you see instantly see your hydration level. Easily switch recyclable cartridges to customize the sink for your own family’s preferences. The smart faucet in GE’s Home 2025 not only dispenses filtered water, but also ice and carbonated water, vitamins and various beverages. 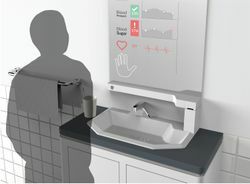 Just place your finger on the faucet and the built-in hydration sensor lets you see instantly see your hydration level. With the in-sink dishwasher in GE’s Home 2025, wash small loads in just five minutes. Integrated sensors in the sink alert you when chemicals or bacteria are present in your produce, so you can keep washing your produce until the readout says the contaminants are gone. 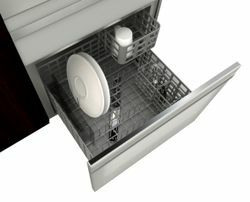 In GE’s Home 2025, the lower dishwasher drawer accommodates large loads like pots and pans. 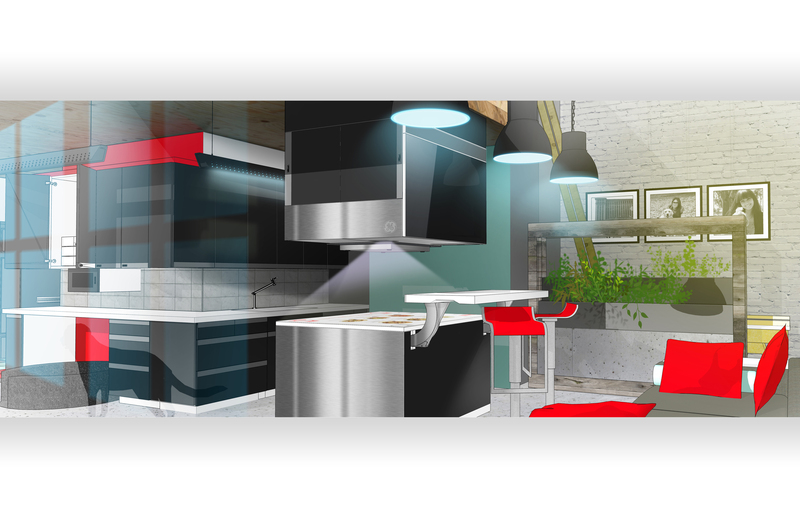 Save space and time in GE’s Home 2025. 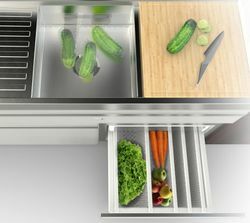 A cutting board doubles as the dishwasher lid, and sliding mesh dividers in the prep area keep produce cooled and easily accessible. In GE’s Home 2025, it’s easy to turn your food disposal into compost mode and create compost pellets. 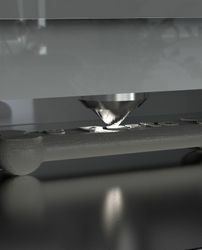 GE’s Home 2025 comes equipped with an under-cabinet mounted 3D printer where homeowners can conveniently print their own housewares, home décor and dog toys. The next industrial revolution – 3D printing – is the ultimate in customization and on-demand, with the ability to make a variety of equipment, electronic circuitry, clothing and even some foods. 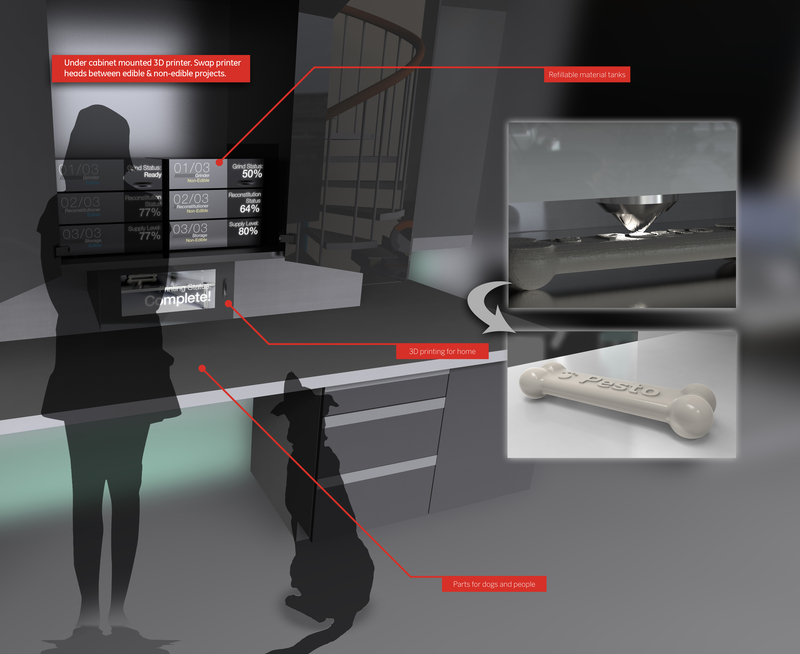 GE’s Home 2025 comes equipped with an under-cabinet mounted 3D printer where homeowners can conveniently print their own housewares, home décor and dog toys. No need to drive to a store and grocery shop with GE’s Home 2025. Shop anywhere by searching on your smart device. Then have your groceries delivered directly to your front door, even while you’re away. A device installed outside of your home keeps delivered items cool or warm until you return. Containers conveniently plug into the refrigerator, and empty containers are collected for reuse. 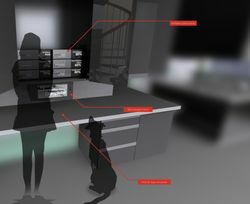 In GE’s Home 2025, a thermoelectric nano material allows a user to activate a designated area on the nightstand using their body heat, such as from a finger, and leave a reminder. 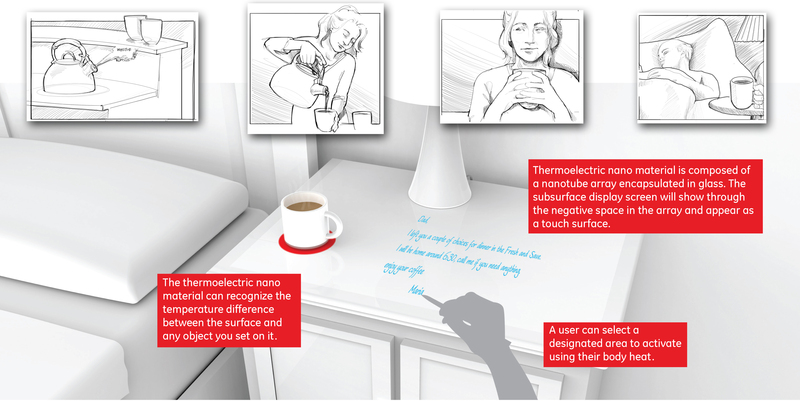 The thermoelectric nano material also recognizes the temperature difference between the surface and any object you set on it, such as a cup of coffee, and will adjust to keep your beverage warm (or cool). 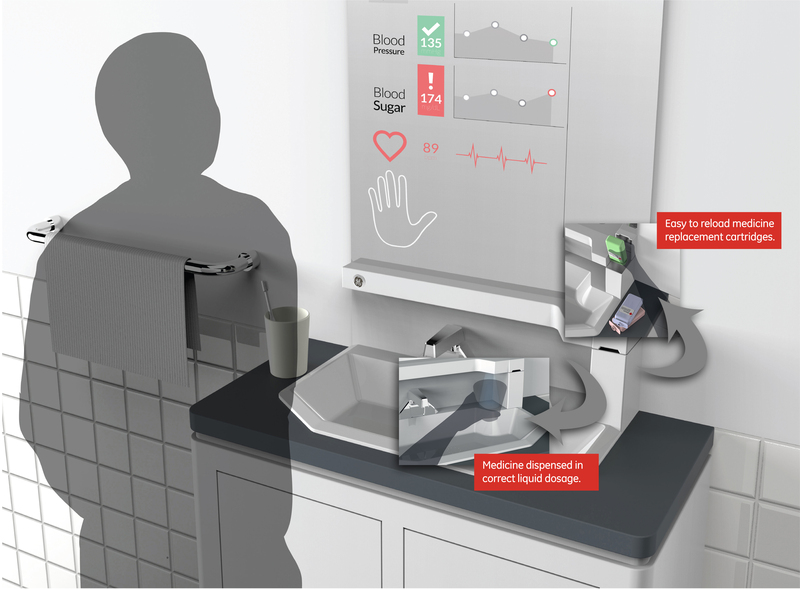 Medication cartridges can be easily reloaded in the Medical Dispenser in GE’s Home 2025. The Medical Dispenser in GE’s Home 2025 combines, processes and dispenses the medication in liquid form. No need to remember what medications to take when living in GE’s Home 2025. Just place your hand on the mirror, and the Medical Dispenser reads your vital signs and decides the amount of medication needed for the day. Sustainability will be integral to living in the future, driven by urbanization, frugality and climate change. 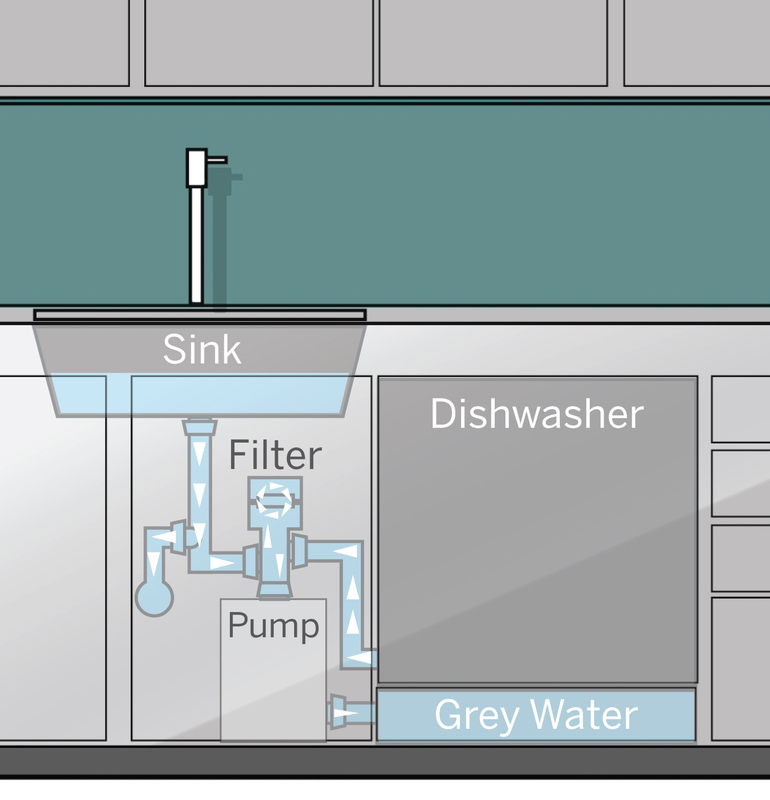 Household appliances must use minimal water, or be able use recycled water. Advances in filtration and sanitization technology help keep laundry and dishwasher appliances from getting too thirsty. 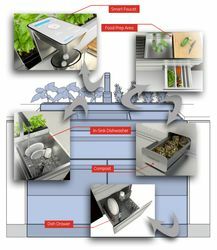 Gray water from the dishwasher in GE’s Home 2025 is recycled back through and can be used for the sustainable growing wall, where herbs and vegetables are harvested.